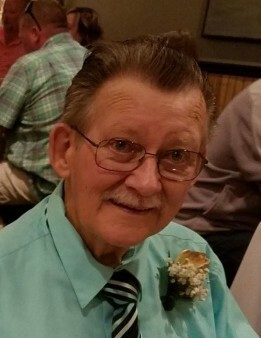 George Robert Jones, Jr. Age 73, passed away peacefully on February 6, 2019, surrounded by his loving family. He was born in Joliet on November 12, 1945 to Dorothy and George Jones who preceded him in death. His brother Raymond (Carol) Jones also preceded him in death. He is survived by the love of his life, his wife of 52 years, Sandra; four children Thomas Jones (Fiance Melissa Mahoney), Jeffrey (Jamie) Jones, Jennifer (Tom) Donath and Michael (Jen) Jones; eight grandchildren Melissa, Meghan, Hannah, Morgan, Olivia, Benjamin, Kyliee and Maloriee and one great- grandson Jadyn; one sister Linda (Frank) Szabo. He also leaves behind his beloved pet Lucy. George served his country in the U.S. Army where he was stationed in Germany. He was employed by the City of Joliet as a mechanic for 38 years. He was an avid Chicago Cubs and Bears fan. He loved Christmas and enjoyed putting up his snow village every year. He also enjoyed playing golf and going fishing. George will be dearly missed. A Memorial Service will be held on Monday, February 11, 2019 at 11:00 a.m. at the Blackburn-Giegerich-Sonntag Funeral Home. A committal with full military honors will take place at Abraham Lincoln National Cemetery immediately following the service. In lieu of flowers, memorials to the Joliet Area Community Hospice in George’s name would be appreciated.